We arrived on Wednesday afternoon and went straight to the hotel. A few friends were already there and we enjoyed a quiet evening looking over the beautiful bay towards the ancient walled city of Dubrovnik. I brought my receptionist and my dental nurse with me. 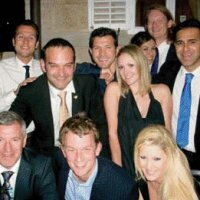 Experience has taught me how important it is to bring team members to meetings so that they gain the same enthusiasm as the dentists and co-operate fully when new ideas from the meeting are introduced into the practice. Thursday morning was free for a little sight-seeing before the General Assembly of the Society in the afternoon. On Friday, the quiet hotel was transformed! 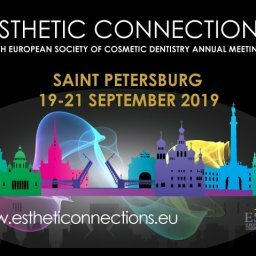 Hundreds of dentists and dental team members from all over Europe and beyond arrived for the two-day scientific meeting. 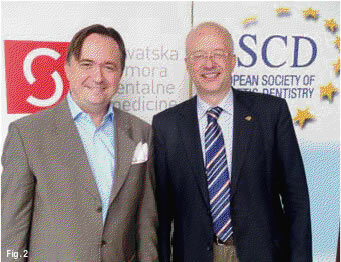 Presented jointly with the Croatian Dental Chamber, the meeting opened with a welcome from the organisers. Then the scientific program began! 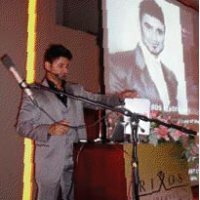 Professor Dr. Nasser Barghi from Texas is well-known as a master of cosmetic dentistry. 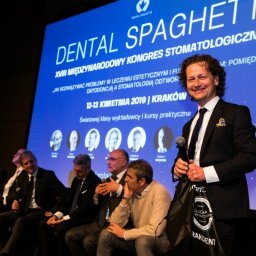 His lecture concentrated on the reliable and correct use of porcelain, from preparation to cementation He compared different porcelains, pointing out their advantages and limitations as well as sharing numerous tips to help general practitionsers produce the very best results with this material. The extended uses of porcelain were explored further by Prim.doc.dr.sc. 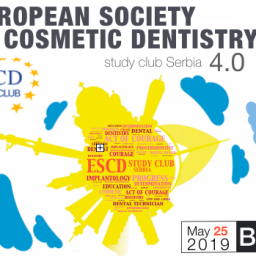 Davor Seifert from Zagreb who explained how in selected cases porcelain can replace composite in minimally-invasive dentistry; in his view, providing a better cosmetic and more durable result. 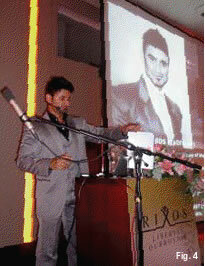 His lecture was illustrated with examples of addition veneers and class 5 restorations skilfully crafted from thin sections of the material producing impressive results. 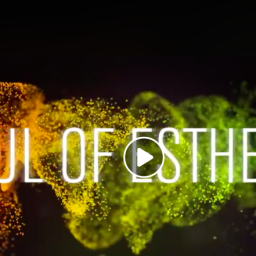 Dr. Bob Khanna from the UK looked at the place of facial aesthetic treatments using botulinum toxin and dermal fillers as part of comprehensive cosmetic care. His lecture went further than this; describing therapeutic treatments like treatment of the ‘gummy smile’ and masseteric hyperplasia. 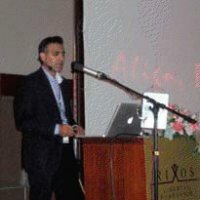 Dr. Khanna stressed the importance of a thorough knowledge of anatomy when carrying out these treatments and left delegates with an appreciation of how everybody’s wish to look their best can be satisfied by combined treatments. 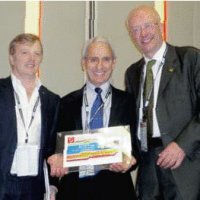 Dr. James Goolnik from London discussed internet marketing. 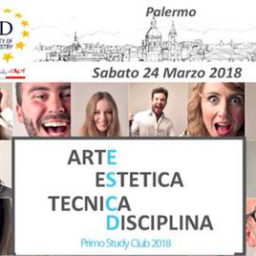 While we may all be familiar with Facebook and Linkedin dentists need to recognise the opportunities for promoting their practices using these new technologies. Smart phones and YouTube also allow us to promote our message in ways not even available a few years ago and James explained how to get the most out of these possibilities. Friday ended with Prof. Dr. Gerwin Arnetzl from Austria speaking on CAD/CAM and illustrating his lecture with a live demonstration. 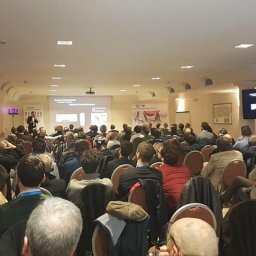 Saturday’s program was equally varied and opened with a live video link showing the placement of four implants in the edentulous jaw with immediate loading. Presented by Prof.dr.sc. 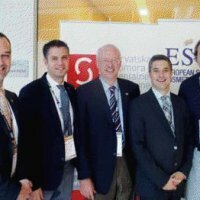 Pavel Kobler and Dubravko Jurisic from Croatia the demonstration fascinated both those clinicians already placing implants and those who plan to do so. 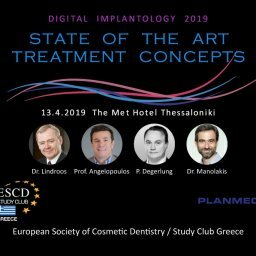 Periodontist Dr. Alain Romanos from Beirut spoke on the prevention and treatment of recession in the aesthetic zone, featuring the use of the Alloderm implant. Comparing the use of this material to the more traditional connective tissue graft he explained case selection, advantages, limitations, techniques and the range of uses of this micro-surgical technique. 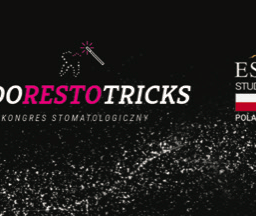 Dr. Marco Martignoni from Italy looked at the restoration of the endodontically-treated tooth. 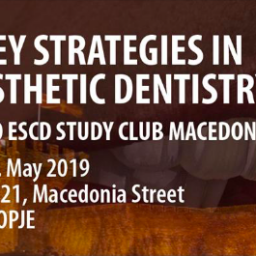 Stressing the importance of excellent endodontics as a starting point he went on to consider the use of fibre posts and various types of cement. 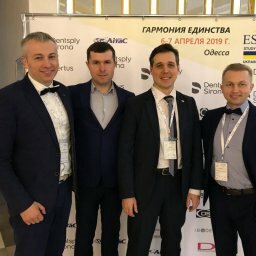 Dr. James Russell and dental technician Mr. Luke Barnett carried on the theme of minimal intervention using ceramics while Prof. Dr. Martin Joergans and Prof. Dr. Marcel Wainwright from Dusseldorf looked at the latest in modern cosmetic dentistry from the use of lasers to ultrasonic surgery. 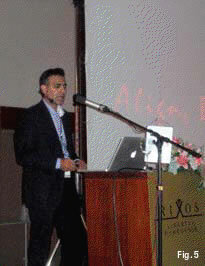 Dr. Tif Qureshi and Dr. Lennart Jabobsen from the UK gave a two-part presentation on the concept of ‘ABB’. ‘A’ stands for ‘Alignment’. 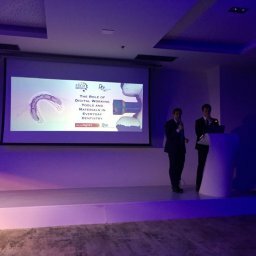 With the use of the innovative Inman Aligner the lecturers explained how simple, rapid tooth movement can be achieved in the aesthetic zone, allowing further treatment to be truly minimally-invasive. 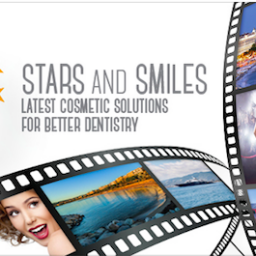 Bleaching the teeth towards the end of alignment improves patient motivation while the last ‘B’ stands for ‘Bonding’; the correction of any remaining edge defects or enamel problems with the use of composite resin. 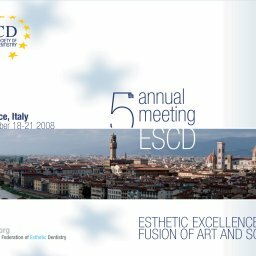 As an alternative to the afternoon lectures delegates had the opportunity to attend workshops where Dr. Romanos expanded on his lecture on recession, Prof. Dr. Barghi showed clinicians how to produce impressive composite veneers with a simple technique and Dr. Khanna gave a live demonstration of the use of dermal fillers. 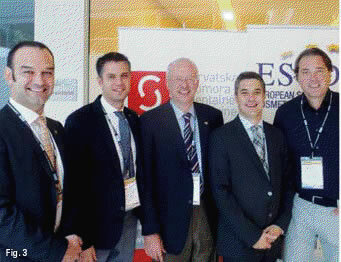 Other highlights of the Scientific Meeting included the judging of the Poster Session where once again very high standards were achieved and the presentation of Certification to an ESCD member who had successfully submitted written case studies and passed the oral examination required by the Society. Throughout the meeting delegates could visit the excellent trade exhibition in the foyers where a variety of products and services to help the modern cosmetic practice were available. All work and no play? Certainly not! 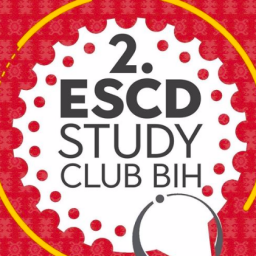 ESCD Meetings are well-known for their social events and this year was no exception! 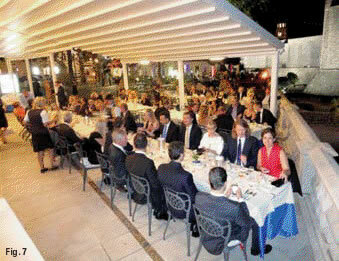 From the ESCD and Friends party in the hotel to the President’s Party in a leading Dubrovnik restaurant delegates had plenty of time to enjoy themselves to the full; the more energetic partying on until late into the night! How much do members enjoy these meetings? 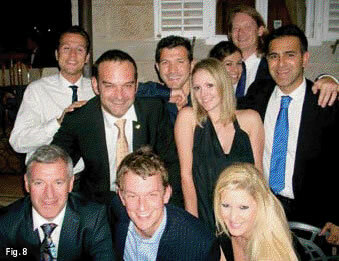 Well, to give you an idea, one member from France broke away from his honeymoon to bring his beautiful new wife to the event! ESCD Meetings really are very good indeed. 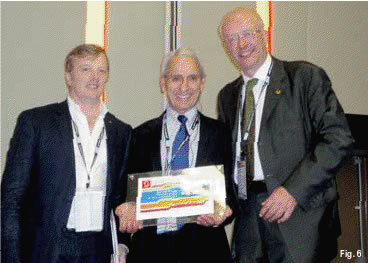 The standard of education is excellent with world-class lecturers regularly presenting. At the Meeting there is time to meet up with old friends and make many new ones. 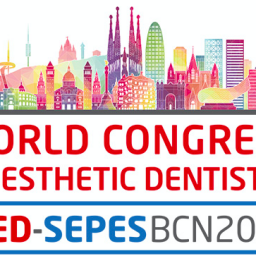 The discussions that go on outside the lecture halls can be as valuable as the lectures themselves as delegates from around the world share ideas that improve their practices. 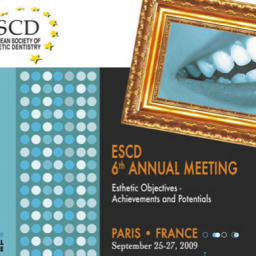 ESCD Meetings are also very good value. 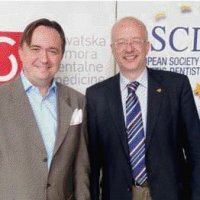 The Society tries to keep rates to a minimum to encourage all practitioners with a love of this area of dentistry to attend. It is all so friendly! Everyone who goes to ESCD meetings for the first time remark on this and can’t wait for their next opportunity!